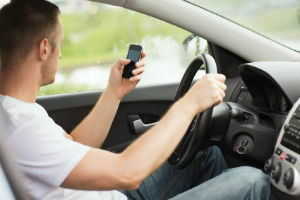 A new survey by the AAA Foundation for Traffic Safety reveals that 87 percent of motorists engage in a minimum of one risky behavior while driving. The study asked participants which reckless driving habits they had engaged in within the last thirty days. It analyzed attitudes about driving safely and revealed there is room for improvement when it comes to safe driving. Peter Kissinger, President of the AAA Foundation for Traffic Safety, believes that many people are culturally indifferent to road safety. He also states that most drivers think they are more attentive than other motorists, yet the majority of these drivers are not making wise decisions when operating vehicles. If you’re injured in a vehicle collision that was no fault of your own, reach out to our auto accident attorneys in Tulsa today. The Edwards Law Firm can help you seek justice for your injuries. Contact us today to get started. Lack of seat belts – Approximately one in five drivers said they drove without wearing a seatbelt during the last 30 days. Speeding – Almost 50 percent of motorists said they went 15 miles per hour above the speed limit on a highway during the past 30 days. Driving while impaired – More than one in eight drivers said they drove when their blood alcohol level could have been at or above the legal limit during the previous 12 months. Drowsy driving – About one in three drivers said they drove while fatigued within the last month. Running red lights – An excess of more than one in three motorists said they drove through a light that turned red when they could have stopped during the previous 30 days. Driving recklessly could not only have fatal consequences for drivers, but it also could end in devastation injuring or even killing innocent people, along with racking up thousands of dollars in property damage. If you or a loved one has been injured due to a reckless driver, contact the auto accident lawyers at The Edwards Law Firm to learn more about what you can do to take legal action today. Get your free case assessment today.